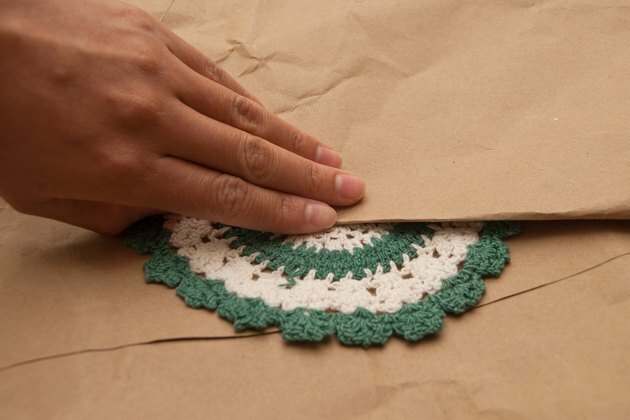 Doilies are an old-fashioned way to protect tables from items placed upon them, yet the doilies themselves are prone to stains and spills such as wax from a dripping candle. Remove the candle wax by breaking away as much of it as you can by hand, then ironing the rest of the wax away onto absorbent paper. 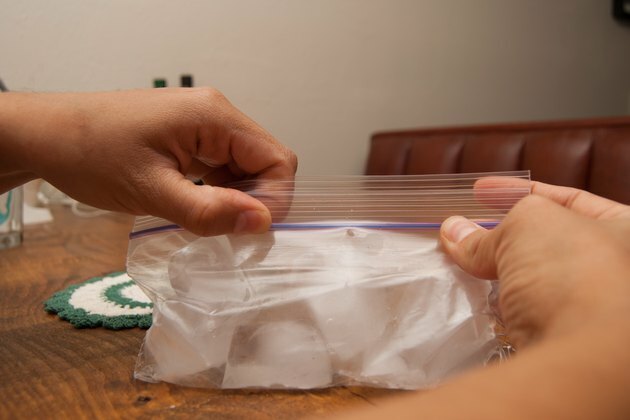 Place ice cubes in a zippered sandwich bag. Seal the bag. Set the doily, waxy-side up, on a cool countertop. 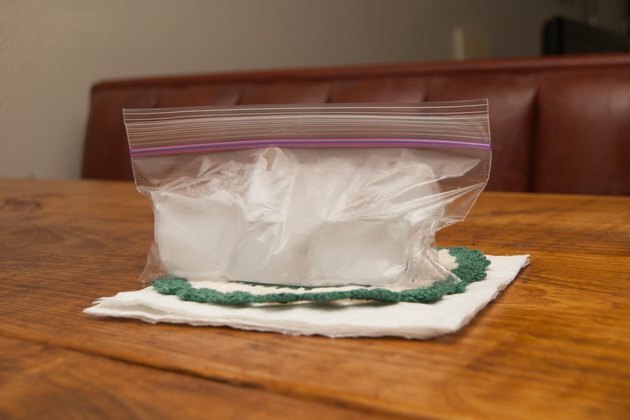 Set the ice bag atop the waxy area for 10 to 15 minutes. Remove the ice bag. 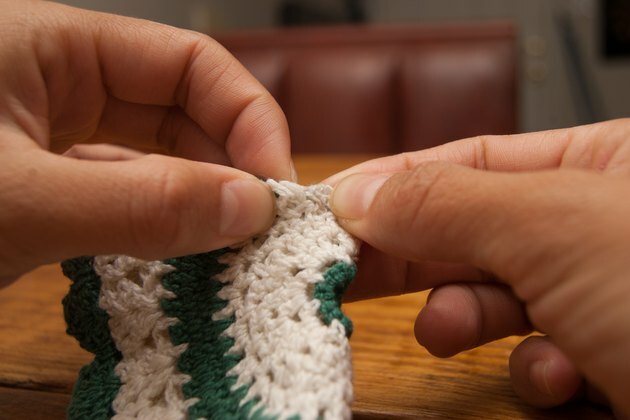 Fold the doily loosely in half while keeping one end in each hand. Move your hands up and down or back and forth to move the fold, cracking the wax. 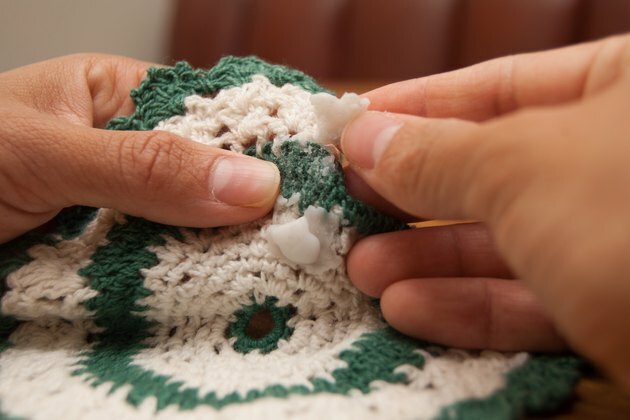 Pick at the hardened wax and continue wiggling and folding the doily to get most of the wax to fall off on its own. Discard the wax. Scrape gently against any remaining wax with the bowl of a plastic spoon. 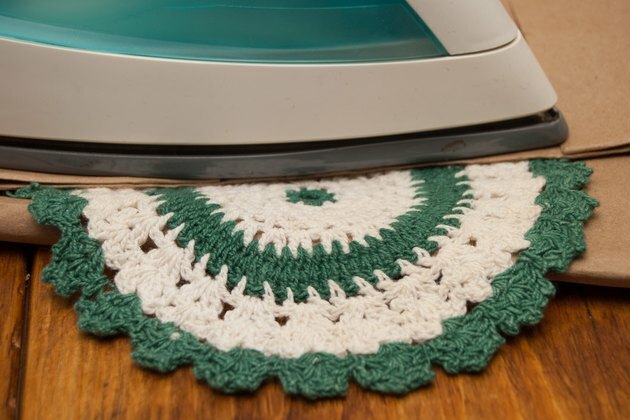 If the doily is too delicate to endure the pressure, skip this step. Smooth a plain brown bag atop an ironing board. Set the doily atop the bag, waxiest side facing down. Place another brown bag, or one panel from a brown bag, atop it. Warm the iron to a low heat setting without steam. Iron the brown bag, moving it around for 10 seconds or so to melt the wax embedded in the doily. 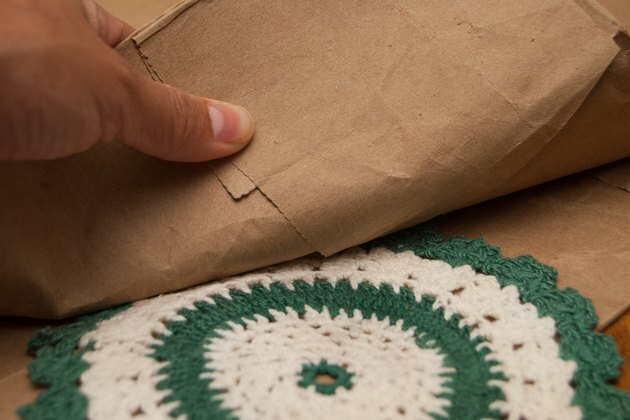 Lift the top brown bag and doily to see if any of the wax transferred to the bottom bag. A wet or dark spot indicates the bag absorbed wax. If so, replace the bottom brown bag with a fresh one. Set the doily atop the fresh paper and the top piece of paper atop the doily. Iron the paper again. 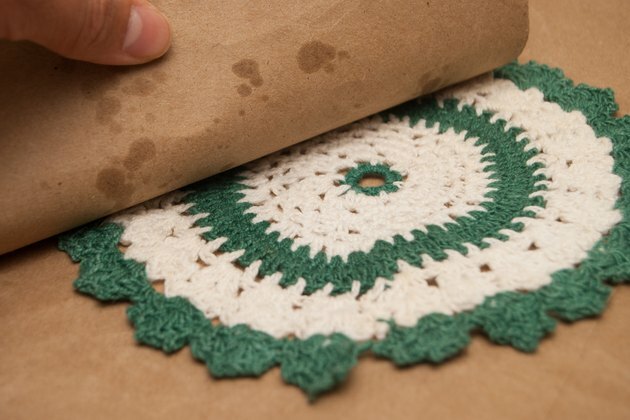 Continue replacing the bottom bag -- or even the top, if wax is still evident -- and re-ironing the doily until no more wax transfers to the paper. 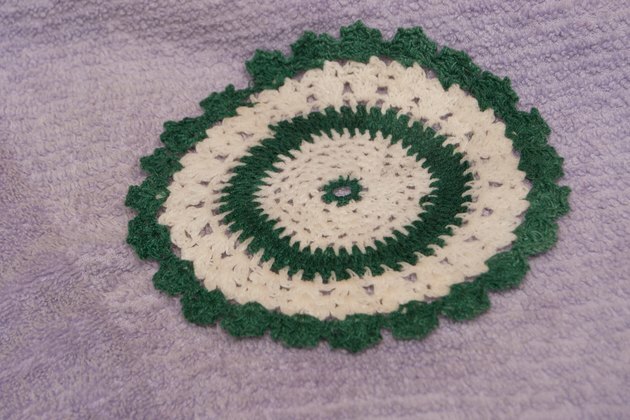 Hand-wash the doily, if desired, by placing it in a shallow tub of warm water, along with a small amount of liquid laundry soap designed for delicates. 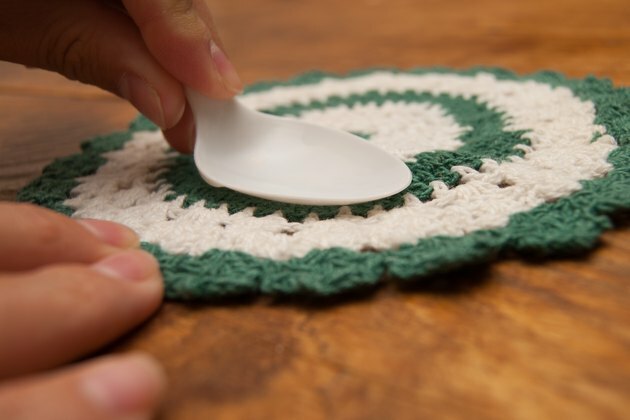 Swish the water around with your hand and allow the doily to sit in the water for several hours or overnight. Rinse the doily in lukewarm water; then set it flat atop a white towel to dry. Roll the doily in the towel to squeeze out excess water; then smooth it back flat, if it absorbs a lot of water.